From 12 to 21 July our bowling lanes will be renewed. In that period, it is not possible to play bowling in our center. Up to 6 people can make use of one lane. 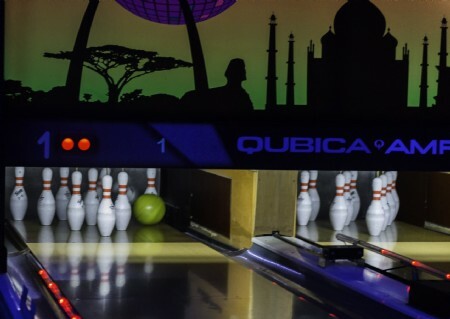 It is also possible to book our bowling lanes with attractive packages that include snacks and drinks or dinner. For small children it is often difficult to throw a bowling ball, let alone to get them not to let the ball end up in the gutter. That's why we have special fun bumpers: never in the gutter! There are no additional costs for the bumpers. For schools, daycare centers and sports clubs we have a special rate from Monday to Friday: € 12.50 per lane, per hour. For training sessions we apply the NBF rate: € 12.50 per lane, per hour, applicable only upon presentation of your NBF-card. It is not possible to make reservations for training sessions.